Our customer, Dr. Takehito Hananouchi from Osaka Sangyo University presented the poster “Mechanical property of bioinks for 3D bio-printer INKREDIBLE” at the World Congress of the Tissue Engineering and Regenerative Medicine International Society (TERMIS, 2018) in Kyoto, Japan. 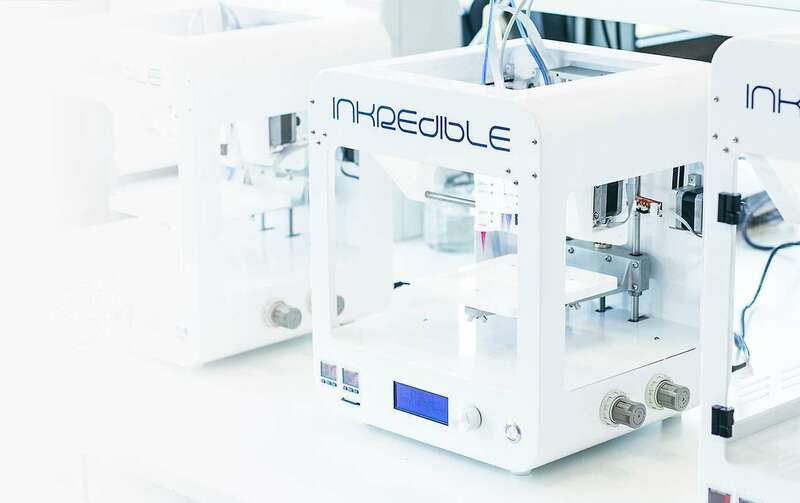 The purpose of this study was to investigate the mechanical property of the alginate based CELLINK® bioinks for use with the INKREDIBLE 3D bioprinter. For soft tissue orthopaedic regenerative medicine applications, Dr. Hananouchi together with colleagues from Shiley Center For Othopedic Research & Education (at Scripps Clinic, CA USA) used CELLINK’s 3D bioprinter INKREDIBLE to investigate the mechanical properties of three of CELLINK’s alginate based bioinks. Cylindrical constructs of CELLINK bioink, CELLINK A and CELLINK RGD were printed and crosslinked before compression testing was performed. CELLINK A constructs were the stiffest of all three printed bioinks despite the bioink’s low viscosity, however none of the tested bioinks were sufficiently strong for the application of interest. Find the full poster here.